Dave has spent his entire professional career in the radio and records industries. 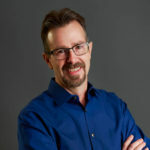 Beginning in 1988, he spent 20 years in radio included stints as Program Director, Music Director, and on-air personality in markets such as Phoenix, Las Vegas, and Nashville. In 2008, he transitioned to the record side of the business and has worked as a Director of Promotion for the West Coast since then for Walt Disney’s Carolwood Records, Skyville Records, Instigator Music, Blaster Records, and now, Reviver Records.